Filmmaker Karan Johar and actor Akshay Kumar met the Prime Minister of India, Narendra Modi to discuss about issues related to the film fraternity. Akshay kumar took to social media and shared a picture with Modi and captioned it, "Heartfelt thank you to the honourable Prime Minister @narendramodi ji for taking out time to hear us at length, discuss issues pertaining to our industry and assuring positive consideration of suggestions". 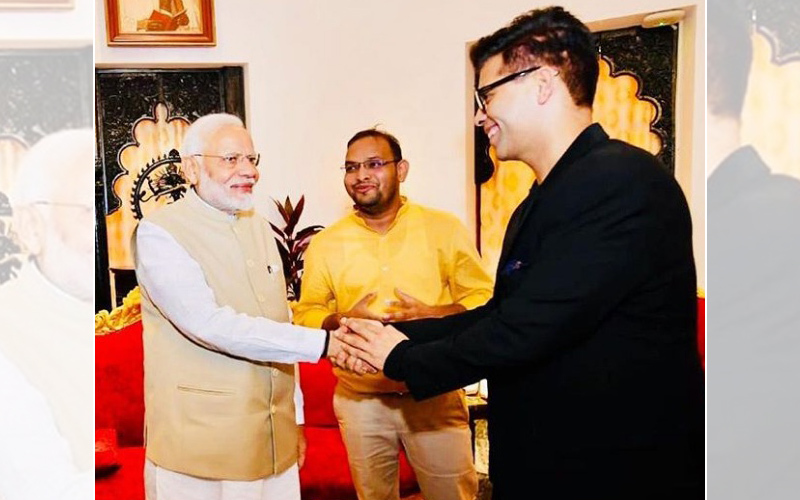 Karan also took to social media and shared a picture of himself with Modi and captioned it, "It was enlightening to hear the honourable Prime Minister @narendramodi share his views on our Industry’s soft power status and the strength of our cinema...he gave our media and entertainment representatives a patient and solid hearing....thank you Sir!! ".